Ariston - CPR - Providing Models with different characteristics, investment objectives and market methodology. ARISTON - CPR evaluates the investment methods used to create the Models from its partners. We only offer Models with proven track records, acceptable risk/reward characteristics which are created by reputable and professional organizations using institutional level research and analysis. 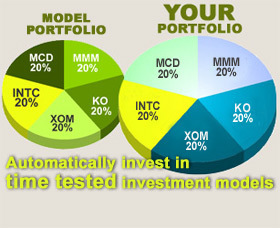 Our goal is to provide Models with different characteristics, investment objectives and market methodology. Our investment product line is exhaustively evaluated and tested before being offered to our clients. The Models are all equity based and select stocks based on fundamental, quantitative, and/or technical factors that show the highest potential to appreciate. Our commitment to service ensures that the Models offered remain unemotional and disciplined. Diefendorf Capital Planning Associates - A financial services firm offering Investment Advice, Brokerage Services, Financial Planning, Insurance and Philanthropic Planning. To speak with someone directly, please call 800.521.0267.